A weekend full of yoga makes me one happy girl. 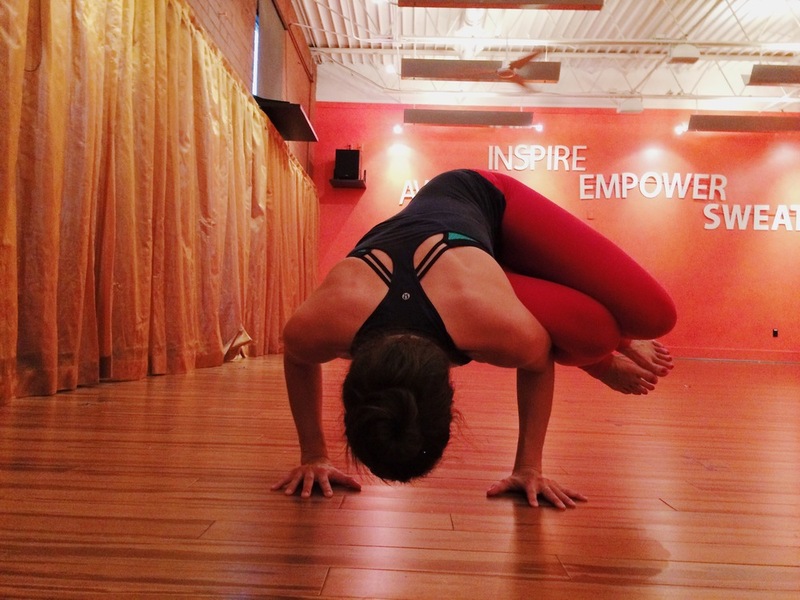 3 amazing practices – each one different, empowering & beautiful in their own way. Practicing at 3 of my favorite studios around town – Y2 Yoga, Yoga One & Charlotte Yoga – each studio offers a different style, flow & vibe. Yoga just seems to have a way of always being what you need it to be. Practicing at different studios, with different teachers allows me to continue to grow in my practice on all levels, physically & emotionally. Friday afternoon at Y2 Yoga. Stayed after class to spend some time playing around with Scorpion. Definitely a work in progress, my feet aren’t anywhere near my head and I’m working hard to not lose my ab connection and crunch/dump into my low back. Really incredible practice with a new instructor, Fauna, on Saturday afternoon at Yoga One. Sunday night practice at Charlotte Yoga, this just happened for the first time!! Side Note: I’ve broken my left wrist & elbow which creates some strength & stability issues for me in so many arm balances. Frustrating, to say the least. I always feel like my left side is going to give out which has created this fear of arm balances for me but I’ve made so much progress throughout this year.